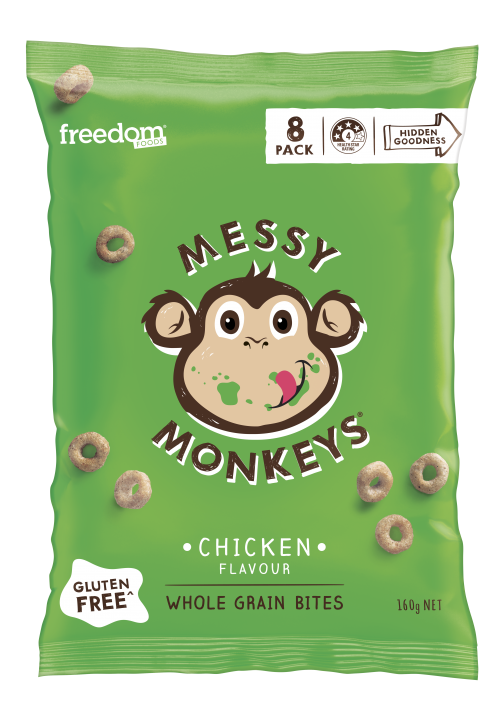 ** Percentage Daily Intakes are based on an average adult diet of 8,700 kJ and 30g fibre. Your daily intakes may be higher or lower depending on your energy needs. 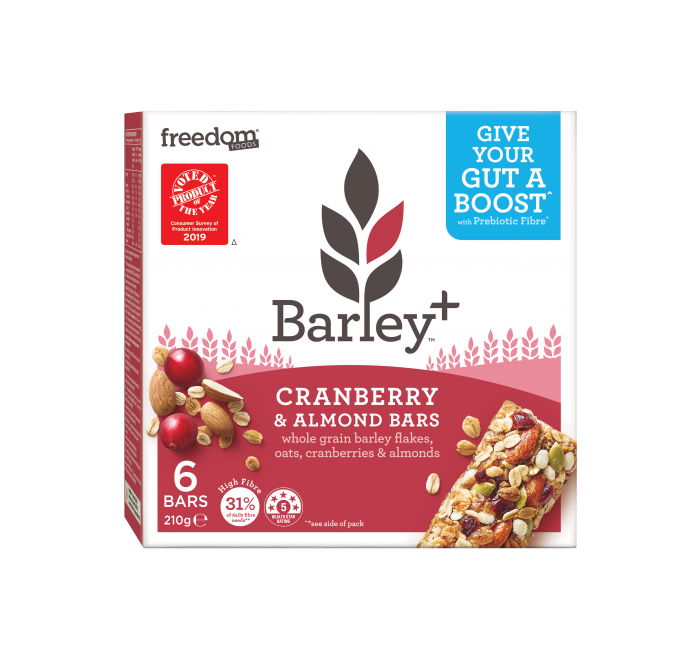 BARLEYmaxTM (Whole Grain Rolled Barley Flakes) (22%), Chicory Root Fibre, Whole Grain Rolled Oats (7%), Brown Rice Syrup, Pepitas, Cranberries (7%) (Cranberries, Sugar, Sunflower Oil), Almonds (7%), Canola Oil, Puffed Rice, Humectant (Glycerol), Natural Berry Flavour, Antioxidant (Vitamin E). 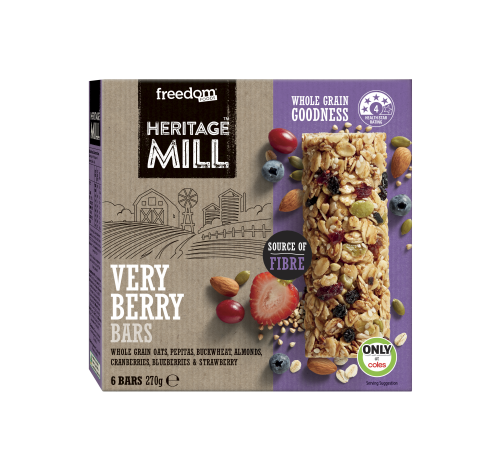 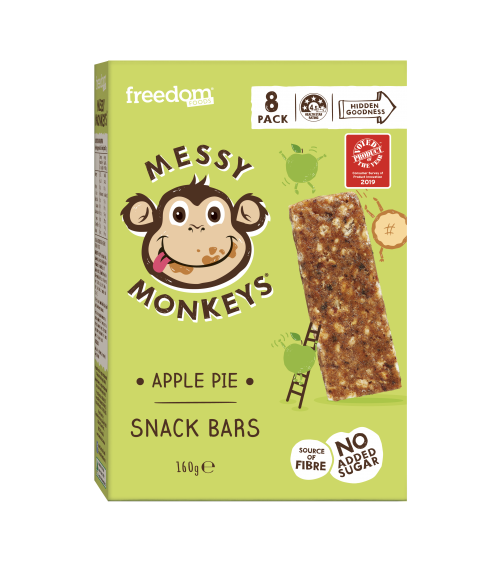 Contains Gluten-containing Cereals and Tree Nuts.